Reliable Power in Tanzania: is better and more accessible data on power quality part of the solution? At least two-thirds of Tanzanians don’t have access to electricity (NBS 2016), but the gap is being reduced through expansion of the grid by the Tanzania Electric Supply Company (TANESCO) and efforts by other private businesses like Mwenga Hydro Power, Ensol, Power Corner, and Rafiki Power. All these companies are expanding solar and hydro energy technologies in remote areas, disconnected from the national electrical grid. Yet for those Tanzanians who have access, many are still experiencing problems with the reliability and quality of their electricity service. This affects people’s quality of life and can be particularly damaging for businesses – from small village businesses to big manufacturing industries – that rely on power for their livelihoods. Over a number of years the World Bank has been warning of the damage power outages have on businesses - for example in 2013 the World Bank Enterprise Surveys showed that power outages in Tanzania cost businesses about 15 percent of annual sales and greater availability of energy has been shown to lead to higher income, more jobs, and improved educational attainments at the individual household level. 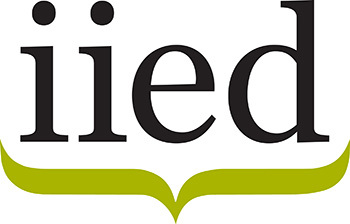 In 2017, the World Bank reported that lack of energy leads to a significant loss of output at the firm level. More recently, in November 2017, Reuters reported on a blackout in Tanzania that lasted more than 12 hours. According to TANESCO this was caused by “a technical fault [that] caused all regions connected to the national power grid to lose electricity supply. Partial blackouts occur regularly in Tanzania, which relies on hydro[power], natural gas and heavy fuel oil to generate electricity.” The Reuters’ report goes on to say that many businesses use power generators as backups, pushing up their operating costs. Whilst there is certainly the need to increase the overall quantity of supply – more gigawatts on the grid - a separate and equally important issue is how to improve customer perceptions of quality of supply, given the existing supply base. Taking Dar es Salaam as an example, many of the reliability issues are caused by the distribution network rather than the lack of supply – for example by old cabling or unreliable transformers. Better understanding the detail of these infrastructure problems down to the customer level is important if the more fundamental questions or assumptions that customers have are to be addressed. Much informal chatter focuses on fairness of power availability. Do more affluent areas have better reliability of supply? Do business customers have a better quality service than domestic households? We also know from research with Twaweza that many customers perceive that outages last longer than announced, which impacts their ability to plan around them. The Energy Change Lab’s Electricity Supply and Monitoring Initiative (ESMI) uses an open data methodology to gather independent data on supply quality from the customer perspective by placing monitoring devices in homes and businesses. This helps to build more informed conversation between customers, electricity service providers, and regulators, and starts to answer some of the questions on quality across different areas outlined above. ESMI is an international initiative to pilot electricity supply quality monitoring pioneered by the Prayas Energy Group in India; other pilot locations include India, Indonesia, and Kenya. 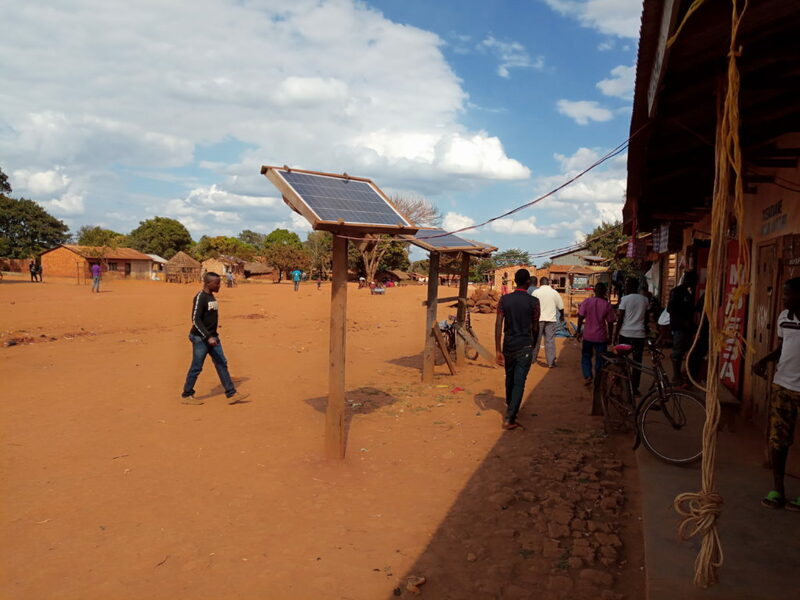 In Tanzania, the Energy Change Lab is running the pilot with 25 locations in Dar es Salaam, with financial support from the International Growth Centre (IGC) and the World Resources Institute (WRI). We measured ‘blackouts’ (figure 1) as the total number of power outage hours per month. We also measured ‘brownouts’ (figure 2) when the power is on, but the voltage (quality) is too low to properly power customer equipment. Brownouts are measured as the percentage of time over the month in which the power is on, but not at the appropriate quality. 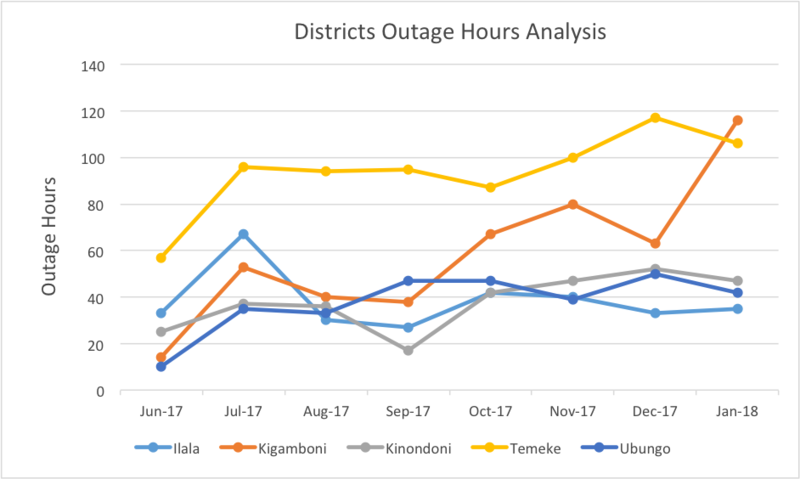 Our analysis of ESMI locations show that areas heavily affected by frequent brownouts such as Temeke district are prone to loss of productive activities in the region due to damage of appliances, spoilage of semi-finished productions, process restart costs and unrecoverable downtime. Part of the work the pilot has been doing is checking the automatically gathered data with the real-life experience of customers. Daniel Mwaifunga, a resident of Charambe - Maji Matitu A, had one of the ESMI devices installed in his house within Temeke District. 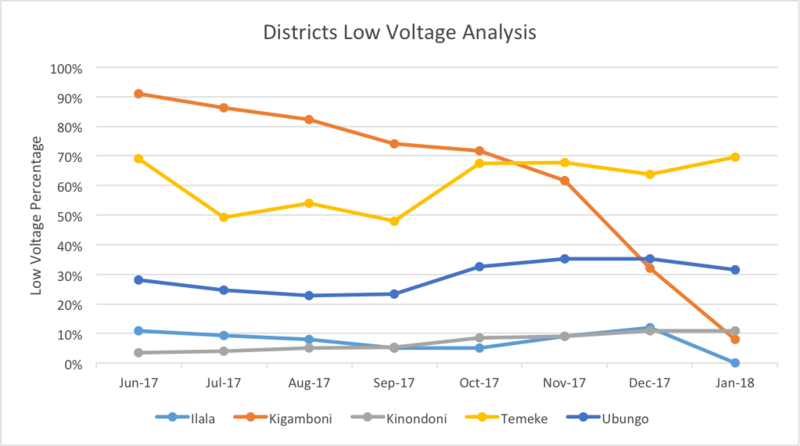 Data collected from his house started off worse with frequent blackouts and brown outs recorded, it then got significantly worse over time, contributing significantly to the bad performance of Temeke District as a whole. We interviewed him to check whether his experience matched the data records, and his account of unplanned power cuts and brownouts residents in his area are experiencing was consistent with the ESMI data. He has resorted to using voltage stabilizers especially during evening hours to prevent damage of appliances. In Kisirati area, Kigamboni District, we noticed another peculiar trend characterized by frequent blackouts and brownouts. At first we thought there was something wrong with either the device in Michael Onesmo’s house or with his internal house wiring after ruling out the option of the ESMI device being faulty following technical checks performed on the device before moving it to a new house. We then moved the device to a neighbouring house, no significant changes were observed – the trend remained the same. The same trend was also observed at Ngwinula Kingamkono’s house, a resident of Mikadi, Kigamboni, his house experienced regular brown-out at all times and mostly during the evenings when electricity usage is at peak. Availability of quality energy data helps to start a more informed discussion on improving customer perceptions of electricity service quality – prompting service providers to improve customer relations and perceptions about their services. To promote economic growth of the country, there is no doubt that reliable electricity services play a huge role. To realize this vision of reliable power, there is need for energy actors in Tanzania to press for better quality data that is readily available to anyone. The ESMI pilot is a small demonstration of one way to do this. Having the data is the start of the conversation in a process the Energy Change Lab is running to improve customer perceptions of quality of service called ‘Better Power’. Better Power brings together a variety of stakeholders from within and outside the energy sector for informed discussions and active experimentation to make information more accessible to customers – and improve feedback mechanisms to ensure responsiveness to issues customers raise. We are continuing the work of Better Power in 2018 and invite interested parties to join in the conversation. To view analysed ESMI data for Dar es Salaam, visit our website (see http://www.betterpower-tanzania.org/).